For many, the purpose of reading is to be entertained. For me, the purpose of writing is to entertain. Each genre of writing has its purpose. Young adult fiction teaches lessons in love and life while telling likely stories that create a combination of happiness, sadness and adventure. Erotica sets out to stimulate sexual desires by telling of fantasies. Horror seeks to leave an individual feeling unsettled, scared and even squeamish. I have chosen to write horror stories. To create horror you have to think about the things that create uneasiness and fear inside of people. What was your last nightmare about? That's a good place to start. Analyze and dissect what specifically created the feelings of uneasiness and fear for you. It could be a number of things. For example, being chased by something terrifying would unnerve an individual or failing to protect one's family, especially children would create an unsavory feeling. Another good example is witnessing or being the victim of an atrocity, such as a murder or a brutal torture. It can also be something psychological as opposed to physical. The important thing is to go for the 'wow' factor. When someone reads the story you want their jaw to drop because they can't believe what they've just read. In The Corpses of Old Farm Hill Road: The Arrogant Man, I did this by creating a character that everyone will despise. He is egotistical and cares only for himself. He treats others like they are crap on the bottom of his shoe. Very early in the story the reader learns to hate him so later when he's at the mercy of the serial killing women, the reader is torn. Do they want him to escape and get out alive? Or do they want him to be tortured and die? This creates an inner turmoil in the reader and leaves them unsettled. These are the feelings that a horror story sets out to create and leave behind. 1. Start with the ordinary. a. In my horror short The Please DO Feed the Animals ZOO, I started with an ordinary father-son relationship and their ordinary outing. a. Their outing becomes disturbing when the zoo they decide to go to becomes alarmingly real. a. 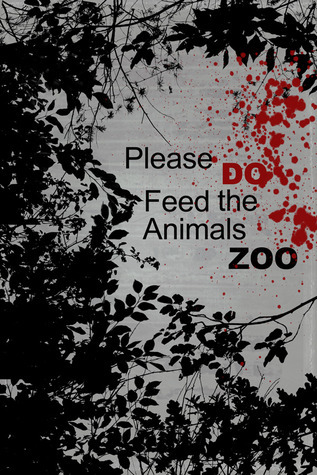 They're trapped in a zoo filled with ferocious man-eating animals. How will they escape them? a. It's a horror story, get dirty. Go into detail with the gory scenes. 5. End with a bang. a. The crucial part of a horror story is the ending. Your reader has to walk away feeling grossed out, sick and/or terrified. They have to feel like they might possibly find themselves in the predicaments your characters were in. There's one more thing. If you choose to make it into a series, here's a good tip. Your story should have an ending that makes it a good stand alone story. While it should be left open for further scary conundrums, it should still end completely. Don't blatantly say 'to be continued,' or make it very obvious that the plan is to continue into a new story. It must be a great stand alone story with room to grow into a series. Each book in the series must comply with this standard. Tabitha Short is the writer of many horror short stories including The Roller Coaster of Death (found in the compilation titled Misery Loves Company) and The Please DO Feed The Animals ZOO. Her YA novel, Arena Games: Petrova's Legacy, is contracted and due for publication January 19, 2013. 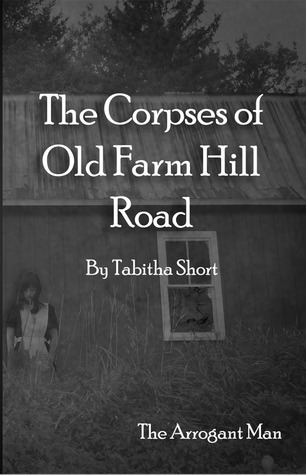 Tabitha has generously offered and ebook copy of The Corpses of Old Farm Hill Road: The Arrogant Man to a lucky commenter! To be entered just leave a comment and tell us: Do you like horror stories? What is your formula for a horror story?